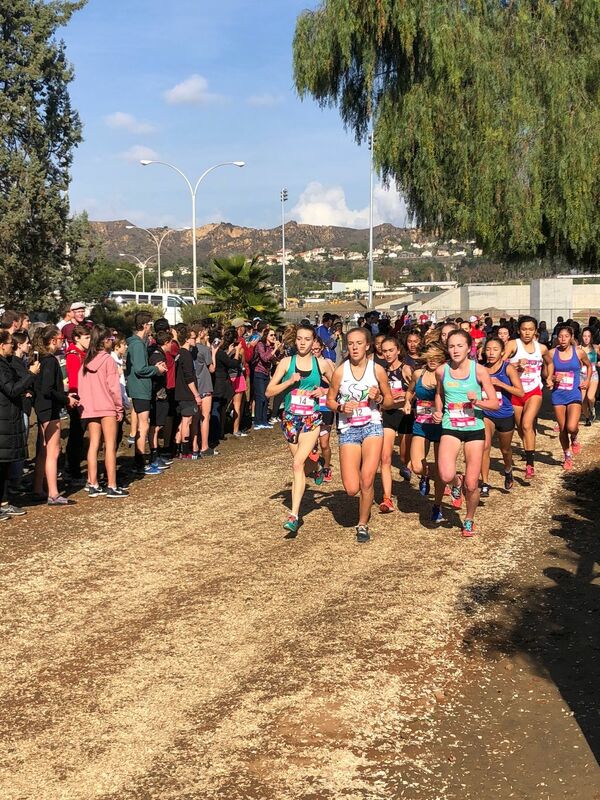 Healdsburg’s Gabriella Peterson joins an amazing group of Redwood Empire female runners to compete in the Footlocker Cross Country Nationals. 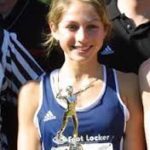 Gabby placed 5th at the Footlocker Western Regionals December 1st at Mt. San Antonio College in Walnut. She was the second fastest girl from California. 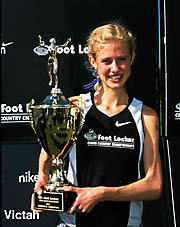 The winner being Kristin Fahy of Carlsbad, CA in 17:52.8 over the 5k course. The North Coast Section acutally had two other runners qualify on in Colleen McCandless of Granada and Connor Livingston of De La Salle. Gabby, on the left, taken by James Peterson. The tiny little Redwood Empire has had an amazing history at the National Championships. We have actually had two girls in the top seven twice before. Here is a look at how our girls have done. 1994 Julia Stamps, Santa Rosa 1st, won by 31 seconds. 1997 Sara Bei, Montgomery 10th and Trina Cox, Santa Rosa 24th. 1998 Sara Bei, Montgomery 3rd and Trina Cox, Santa Rosa 6th. 2000 Sara Bei, Montgomery 1st, course record and Amber Trotter, Ukiah 7th. 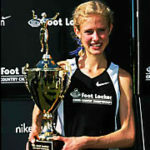 2001 Amber Trotter, Ukiah 1st, course record, won by 40 seconds. 2007 Sarah Sumpter, Healdsburg 22nd. 2008 Jacque Taylor, Casa Grande 30th. 2009 Julie Nacouzi, Montgomery 25th and Jacque Taylor, Casa Grande 40th. 2010 Julie Nacouzi, Montgomery 3rd. 1981 16:40 Connie Robinson Cincinnati OH Orlando, FL, different course from 2000. 1994 16:41 Julia Stamps 10 Santa Rosa Santa Rosa CA San Diego, CA, missed CR by 2 seconds. 2000 16:55 Sara Bei 12 Montgomery Santa Rosa CA Orlando, FL, set CR that Trotter broke. The three fastest times ever run by girls from the west team were all from Redwood Empire. Elsie Allen’s Celedonio Rodriguez has gotten our boys represented with his 18th place finish in 1998.